James McAvoy (/ˈmækəvɔɪ/; born 21 April 1979) is a Scottish actor. 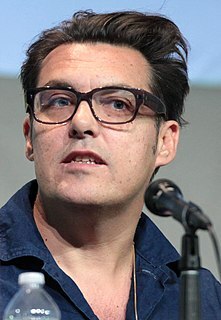 He made his acting debut as a teen in The Near Room (1995) and made mostly television appearances until 2003, when his feature film career began. His notable television work includes the thriller State of Play and the science fiction mini-series Frank Herbert's Children of Dune. He has performed in several West End productions and received three nominations for the Laurence Olivier Award for Best Actor. He has also done voice work for animated films including Gnomeo & Juliet, its sequel, Sherlock Gnomes, and Arthur Christmas. In 2011 he played Professor Charles Xavier in the superhero film X-Men: First Class (2011), a role he reprised in X-Men: Days of Future Past (2014), X-Men: Apocalypse (2016), Deadpool 2 (2018) and Dark Phoenix (2019). McAvoy starred in the crime comedy-drama film Filth (2013), for which he won Best Actor in the British Independent Film Awards. In 2017, he portrayed Kevin Crumb, a man with 23 personalities, in M. Night Shyamalan's Split, for which he received critical acclaim, and later reprised the role for the 2019 sequel Glass. McAvoy was born in Glasgow on 21 April 1979, the son of psychiatric nurse Elizabeth (née Johnstone; died 2018) and builder James McAvoy, Sr. He was brought up as a Roman Catholic. His parents divorced when he was seven. McAvoy's mother suffered from poor health and subsequently sent him to live with his maternal grandparents, Mary and James Johnstone, in the nearby Drumchapel area of Glasgow. His mother lived with them intermittently. 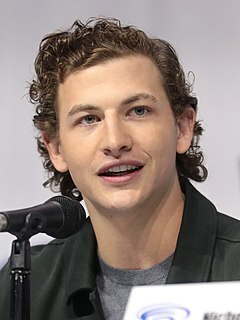 McAvoy has a sister, Joy, and a younger half-brother, Donald. He has not been in contact with his father since childhood. He attended the Catholic St. Thomas Aquinas Secondary School in the Jordanhill area of Glasgow and briefly considered joining the priesthood. In a 2006 interview, McAvoy said that he considered becoming a priest as a child because it seemed to be a way to explore the world via missionary work. During his education, he worked at a local bakery. McAvoy reprised his role as Professor X in X-Men: Days of Future Past (2014), which grossed $747.9 million worldwide, making it the sixth highest-grossing film of the year 2014, and the second highest-grossing film in the X-Men franchise and in 2016's X-Men: Apocalypse. In 2016, he starred in the M. Night Shyamalan thriller Split as Kevin Wendell Crumb, a dissociative identity disorder sufferer with dangerous capabilities. In 2019, he again starred as the same character in Glass. His performance was praised by critics, with some hailing it as the best of his career. McAvoy played Hazel in the miniseries version of Watership Down. He reprised his role as Crumb in Glass (2019). McAvoy will be returning as Professor X in the 2019 film Dark Phoenix. 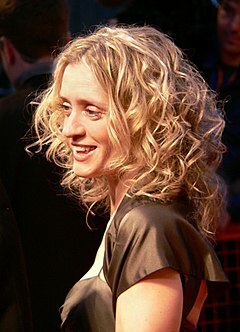 While working on Shameless, McAvoy started a relationship with Anne-Marie Duff, who played his character's love interest; they married on 11 November 2006. They have a son named Brendan (born 2010). On 13 May 2016, the couple jointly announced their decision to divorce. To minimise disruption to their son's life, they still share a home in North London when not working elsewhere. After McAvoy won the "Rising Star" award from the BAFTAs, his estranged father spoke to the Sunday Mirror, stating that he would love to get in touch with his son, but did not know how to reach him. Though he did not read the piece, McAvoy heard about it and was unmoved. McAvoy considers himself a spiritual person who no longer practises Catholicism. He enjoys fantasy themes which he said started from the age of 11 with The Lord of the Rings. McAvoy's other passion is football; he is an avid fan of Celtic FC, stating that his dream acting role would be Celtic legend Jimmy Johnstone. 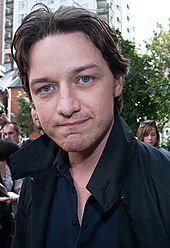 Speaking to Sky News in 2011, McAvoy said he believed that British filmmakers belittle and dumb down their productions to please American audiences: "It's like we're patronising them and short changing ourselves." He had previously called 3-D films a "waste of money", accusing film studios of using the effect to get more money out of cinema audiences. At some point, McAvoy did a "terrifying" BASE jump from the world's tallest hospital building in a bid to help raise money for Ugandan children's charity Retrak, which assists children on the streets. Additionally, McAvoy is a celebrity supporter of the British Red Cross with whom he travelled to Uganda to raise awareness of the projects there. He had become involved with the charity after shooting The Last King of Scotland there for several months and was shocked by what he saw. In February 2007, he visited northern Uganda and spent four days seeing projects supported by the British Red Cross. In 2015, McAvoy pledged £125,000 to a 10-year scholarship programme at his former drama school, the Royal Conservatoire of Scotland. Murder in Mind Martin Vosper Episode: "Teacher"
The Inspector Lynley Mysteries Gowan Ross Episode: "Payment in Blood"
Foyle's War Ray Pritchard Episode: "The German Woman"
^ "Patrick Stewart & Ian McKellen Join 'X-Men: Days of Future Past'". Screenrant.com. Retrieved 6 November 2013. ^ Daisy Wyatt (9 December 2013). "James McAvoy wins best actor at British Independent Film Awards – News – Films". The Independent. Retrieved 2 March 2014. ^ a b "Split (2017)". Rotten Tomatoes. Retrieved 30 January 2017. ^ a b Rose, Steve (12 January 2017). "From Split to Psycho: why cinema fails dissociative identity disorder". The Guardian. Retrieved 14 January 2017. ^ Ivan, Larushka (27 March 2013). "Trance's James McAvoy: I'm too old to play a kid | Metro News". Metro.co.uk. Retrieved 6 November 2013. ^ "James McAvoy". Yahoo!. Archived from the original on 18 October 2012. Retrieved 13 September 2011. ^ a b c d e f g Lane, Harriet (15 October 2006). "The Real McAvoy". The Guardian. UK: Guardian News and Media Limited. Retrieved 2 July 2011. ^ "James McAvoy Biography". Tiscali. Archived from the original on 7 February 2009. Retrieved 2 July 2011. ^ a b Vincent, Sally (26 November 2005). "Trying to be good". The Guardian. Guardian News and Media Limited. Retrieved 2 July 2011. ^ a b c Hiscock, John (1 July 2011). "A young actor creating a buzz". The Daily Telegraph. UK: Telegraph Media Group Limited. Retrieved 30 September 2006. ^ a b Marx, Rebecca (1 October 2006). "The Dictator's M.D. : James McAvoy". New York. Retrieved 1 July 2011. ^ Armitage, Hugh (5 April 2010). "James McAvoy inspired by teenage crush". Digital Spy. Retrieved 2 July 2011. ^ "Former Members". PACE Youth Theatre. Archived from the original on 5 October 2011. Retrieved 2 July 2011. ^ "Acting coach who helped launch the careers of James McAvoy and Paolo Nutini is sacked after finance probe at theatre school". Scottish Daily Record. Retrieved 2 September 2017. ^ a b Salisbury, Mark (2 December 2007). "Ready for the next step". Los Angeles Times. Retrieved 2 July 2011. ^ Smith, Rupert (14 May 2001). "We're in this together". The Guardian. Guardian News and Media Limited. Retrieved 2 July 2011. ^ Mifflin, Lawrie (7 June 2001). "TV Notes ; World War II, The Mini-Series". The New York Times. ^ "James McAvoy Biography". Moviefone. AOL Inc. Archived from the original on 30 October 2011. Retrieved 2 July 2011. ^ Ascher, Ian (2004). "Kevin J. Anderson Interview". Digital Webbing. ^ Barshad, Amos; Brodesser-Akner, Claude (15 April 2011). "The Star Market: Can The Conspirator Energize James McAvoy's Care". New York. Retrieved 1 July 2011. ^ Bradley, William (18 April 2009). "The State of Play of 'The State of Play'". Huffington Post. USA: HuffingtonPost.com Inc. Retrieved 1 July 2011. ^ "James McAvoy, Bill Nighy and a great British cast make 'State of Play' a must-see DVD". Chicago Tribune. 27 February 2008. ^ Rooney, David (2 February 2003). "Bollywood Queen". Variety. Retrieved 2 July 2011. ^ "Bollywood Queen (2003)". BBC News. 6 October 2003. Retrieved 2 July 2011. ^ Meyer, Carla (17 September 2004). "Not so hot on the court, and an imperfect pairing off it". San Francisco Chronicle. Frank J. Vega. Retrieved 2 July 2011. ^ Turner, Matthew (25 May 2005). "Strings (PG)". View London. 2 View Group Ltd. Retrieved 2 July 2011. ^ Stein, Ruthe (18 February 2005). "Irish charmer is a free spirit on wheels". San Francisco Chronicle. Frank J. Vega. Retrieved 2 July 2011. ^ "United Kingdom Box Office: December 9–11, 2005". Box Office Mojo. IMDb Inc. Retrieved 1 July 2011. ^ "Worldwide Grosses". Box Office Mojo. Retrieved 1 July 2011. ^ "Starter for 10". Box Office Mojo. Retrieved 1 July 2011. ^ "Synopses: Starter for 10". British Film Institute. Retrieved 1 July 2011. ^ The Last King of Scotland DVD Commentary Fox Searchlight Pictures (2006). ^ "James McAvoy Passed Out in the Last King of Scotland". Artisan News Service. 3 May 2007. ^ "Last King rules at Scots Baftas". BBC News. 19 November 2007. Retrieved 1 July 2011. ^ "Baftas 2007: The winners". BBC News. 11 February 2007. Retrieved 1 July 2011. ^ Morgenstern, Joe (29 September 2006). "A Monster for the Ages: Whitaker's Amin Electrifies Gory and Powerful 'Last King'". The Wall Street Journal. Dow Jones & Company. Retrieved 1 July 2011. ^ Voynar, Kim (12 September 2006). "TIFF Review: Penelope". IGN. Retrieved 9 June 2011. ^ Macdonald, Moira (6 September 2006). "From Toronto: Let the film festival begin!". The Seattle Times. Retrieved 9 June 2011. ^ "Penelope (2006)". Rotten Tomatoes. Flixster. Retrieved 9 June 2011. ^ Jones, David (3 September 2007). "James McAvoy: Atonement". BBC News. Retrieved 2 July 2011. ^ Stewart, Ryan (17 September 2007). "TIFF Interview: Christopher Hampton, Screenwriter of 'Atonement'". Moviefone. AOL Inc. Archived from the original on 14 June 2012. Retrieved 2 July 2011. ^ "First Night: Atonement, Venice Film Festival". The Independent. Independent Print Limited. 30 August 2007. Retrieved 2 July 2011. ^ "The 2008 BAFTA nominations in full". The Sunday Times. UK. 16 January 2008. Retrieved 2 July 2011. ^ "List of Academy Award Nominees and Winners". The New York Times. 24 February 2008. Retrieved 2 July 2011. ^ Elsworth, Catherine; Gray, Iain (17 December 2008). "Golden Globes: Atonement leads the way". The Daily Telegraph. Telegraph Media Group Limited. Retrieved 2 July 2011. ^ "Atonement". Metacritic. Retrieved 2 July 2011. ^ Bennett, Ray (7 December 2007). "Atonement". The Hollywood Reporter. ^ Douglas, Edward (16 February 2007). "Exclusive: A Chat with James McAvoy". ComingSoon.net. Retrieved 8 June 2011. ^ "Exclusive: James McAvoy Talks Wanted". Empire. Bauer Consumer Media. 19 October 2006. Retrieved 8 June 2011. ^ Kolan, Patrick (22 July 2008). "Wanted: James McAvoy Interview". IGN. Retrieved 8 June 2011. ^ "James McAvoy Is "Wanted"". CBS News. 11 February 2009. Retrieved 8 June 2011. ^ "Wanted (2008)". Rotten Tomatoes. Flixster. Retrieved 8 June 2011. ^ "Wanted". Box Office Mojo. Retrieved 8 June 2011. ^ Everett, Cristina (26 January 2010). "James McAvoy and wife Anne-Marie Duff expecting first child". Daily News. New York. Retrieved 8 June 2011. ^ "The Last Station". Box Office Mojo. Retrieved 8 June 2011. ^ Lee, Allyssa (30 November 2009). "Satellite Award Nominations 2009: 'Nine,' 'Precious' Lead Pack". Moviefone. AOL Inc. Archived from the original on 3 August 2012. Retrieved 8 June 2011. ^ Spencer, Charles (11 February 2009). "Three Days of Rain at the Apollo – review". The Daily Telegraph. Telegraph Media Group Limited. Retrieved 9 June 2011. ^ Lemire, Christy (11 February 2011). "A garden-variety 'Gnomeo & Juliet'". MSNBC. Retrieved 8 June 2011. ^ Staskiewicz, Keith (12 September 2010). "Toronto Film Festival: Robert Redford's 'The Conspirator' is closing in on a distributor". Entertainment Weekly. Retrieved 8 June 2011. ^ Gleiberman, Owen (15 April 2011). "The Conspirator (2011)". Entertainment Weekly. Retrieved 8 June 2011. ^ Sneider, Jeff (27 May 2010). "James McAvoy Cast as Young Professor X in 'X-Men: First Class'". The Wrap. The Wrap News Inc. Retrieved 9 June 2011. ^ Tilly, Chris (30 March 2011). "X-Men: First Class: James McAvoy Interview". IGN. Retrieved 9 June 2011. ^ "United Kingdom Box Office June 3–5, 2011". Box Office Mojo. Retrieved 9 June 2011. ^ Covert, Colin (3 June 2011). "A taut 'X-Men' prequel". Minneapolis Star Tribune. Michael J. Klingensmith. Retrieved 9 June 2011. ^ "James McAvoy Heads to 'Welcome to the Punch'". The Wrap. The Wrap News Inc. 12 April 2011. Retrieved 13 September 2011. ^ Martin, Nick (23 January 2012). "FILTH Shoot Begins". FilmoFilia. Retrieved 28 March 2012. ^ "James McAvoy to Star in 'Disappearance of Eleanor Rigby' Double-Feature". The Hollywood Reporter. Borys Kit. 21 May 2012. Retrieved 24 May 2012. ^ "BBC Radio 4 – Neil Gaiman – Neverwhere". Bbc.co.uk. 30 December 2013. Retrieved 2 March 2014. ^ "How the Marquis Got His Coat Back, Drama – Who's Who in the drama – BBC Radio 4". BBC. Retrieved 16 November 2016. ^ "James McAvoy Stars in 'MacBeth' on London's West End". Broadway Tour. 10 December 2012. Retrieved 21 December 2012. ^ "Nicole Kidman, James McAvoy Among Winners at London Theater Awards". Variety. 22 November 2015. ^ "'X-Men: Apocalypse': Who will return? What new mutants may appear? Scoop on the next X-Men film – Exclusive". Entertainment Weekly. 11 April 2014. Retrieved 11 April 2014. ^ Kit, Borys (21 September 2017). "M. Night Shyamalan's 'Glass' Adds 'Unbreakable' Actors (Exclusive)". The Hollywood Reporter. Retrieved 4 December 2017. ^ Fleming Jr., Mike (14 June 2017). "Fox Formalizes Simon Kinberg To Helm 'X-Men: Dark Phoenix'; Jennifer Lawrence, Michael Fassbender, James McAvoy Back, Jessica Chastain In Talks". Deadline Hollywood. Retrieved 14 June 2017. ^ "James McAvoy and Anne-Marie Duff are expecting their first child". The Daily Telegraph. 1 July 2011. 27 January 2008. ^ Marquina, Sierra (13 May 2016). "James McAvoy and Wife Anne-Marie Duff to Divorce: See Their Statement". USWeekly. Retrieved 13 May 2016. ^ "Discover more about the stars of BBC Drama: James McAvoy". BBC News. Archived from the original on 2 July 2011. Retrieved 1 July 2011. ^ "James McAvoy Biography". TV Guide. Retrieved 1 July 2011. ^ "X-Men Star Says UK 'Dumbs Its Films Down'". Sky News. 25 May 2011. Retrieved 1 July 2011. ^ "3D films a waste of money: McAvoy". The Sydney Morning Herald. 20 June 2011. Retrieved 1 July 2011. ^ Rainey, Naomi (31 May 2011). "James McAvoy: 'Base jump was terrifying'". Digital Spy. Retrieved 1 July 2011. ^ "James McAvoy". British Red Cross. Archived from the original on 30 October 2013. Retrieved 1 July 2011. ^ "James McAvoy Visits Uganda". British Red Cross. Archived from the original on 20 June 2011. Retrieved 1 July 2011. ^ "James McAvoy in fund pledge to help aspiring actors". BBC News. Retrieved 4 June 2017. ^ Swift, Andy (14 January 2019). "James McAvoy to Host SNL". TVLine. 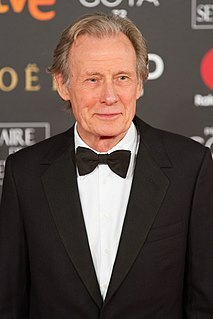 William Francis Nighy is an English actor. 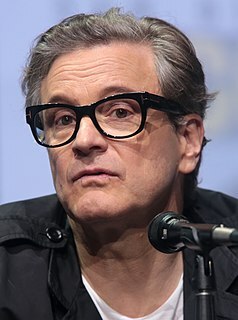 He worked in theatre and television before his first cinema role in 1981, and made his name in television with The Men's Room in 1991, in which he played the womaniser Professor Mark Carleton. Andrew James Matfin Bell is an English actor and dancer. He rose to prominence for his debut role in Billy Elliot (2000), for which he won the BAFTA Award for Best Actor in a Leading Role. He is also known for his roles in the films King Kong (2005), Jumper (2008), The Adventures of Tintin (2011), Snowpiercer (2013), and Fantastic Four (2015), as well as starring as Abraham Woodhull in the television series Turn: Washington's Spies (2014). Anne-Marie Duff is an English actress. She rose to prominence playing Fiona Gallagher on the first two seasons of UK TV series Shameless. She then played Queen Elizabeth I in The Virgin Queen (2006). 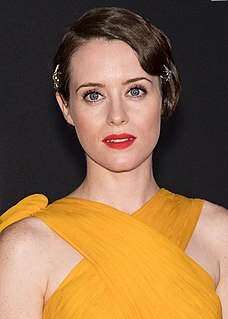 She also played the lead role in the television series From Darkness in 2015. Atonement is a 2007 romantic war drama film directed by Joe Wright and based on Ian McEwan's 2001 novel of the same name. The film stars James McAvoy, Keira Knightley, Saoirse Ronan, Romola Garai, Benedict Cumberbatch, and Vanessa Redgrave, and chronicles a crime and its consequences over the course of six decades, beginning in the 1930s. It was produced by StudioCanal and filmed in England. Distributed in most of the world by Universal Studios, it was released in the United Kingdom and Ireland on 7 September 2007 and in North America on 7 December 2007. 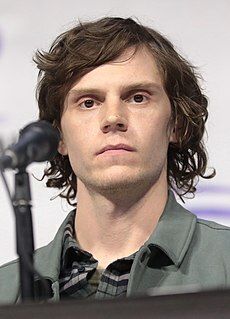 Evan Thomas Peters is an American actor, best known for his multiple roles on the FX anthology series American Horror Story, and his role as the mutant Quicksilver in the superhero films X-Men: Days of Future Past (2014), X-Men: Apocalypse (2016), and Dark Phoenix (2019). 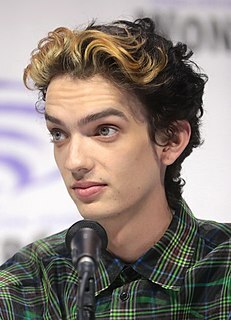 Kodi Smit-McPhee is an Australian actor. He is known for his roles as The Boy in The Road, Owen in Let Me In, Norman Babcock in ParaNorman, Alexander in Dawn of the Planet of the Apes, Nightcrawler in the 2016 film X-Men: Apocalypse, and the lead role in the film Alpha. Johnny Harris is an English actor, screenwriter, producer and director best known for his roles in film and television, including Jawbone, Troy: Fall of a City, This is England '86, Snow White and the Huntsman, Fortitude, Monsters: Dark Continent, The Fades, Welcome to the Punch, and London to Brighton. Atonement is a 2007 British romantic World War II film directed by Joe Wright. Christopher Hampton adapted the screenplay from the eponymous novel by Ian McEwan. The film focuses on fictional lovers Cecilia and Robbie, whose lives are ruined when Cecilia's younger sister, Briony, falsely accuses Robbie of a serious crime. The film opened the 64th Venice International Film Festival on 29 August 2007 and competed for the Golden Lion. The following month it screened at the Vancouver International Film Festival and the Toronto International Film Festival. Atonement was released in the United Kingdom by Universal Studios on 7 September 2007. It was then released in the United States by Focus Features on 7 December 2007. The film earned over £84 million in its combined total gross at the box office.